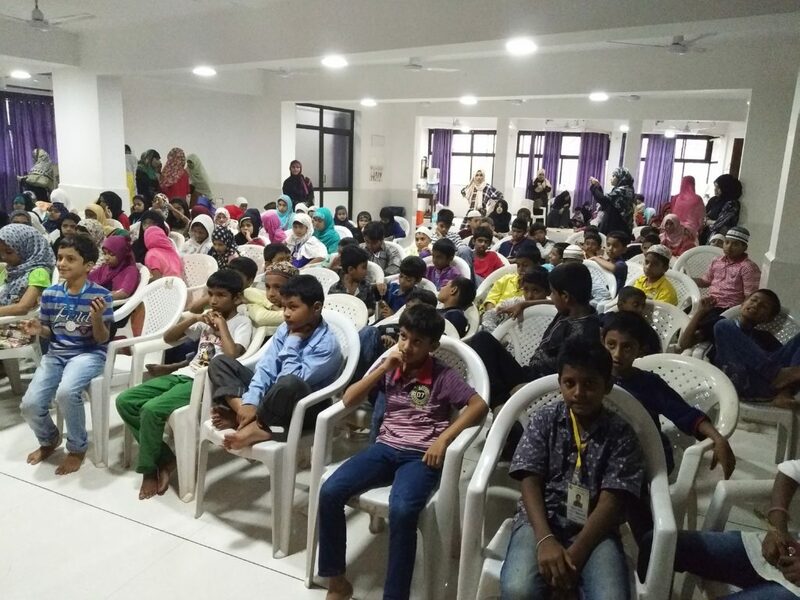 BIE GOA organised a 3 Day Residential Camp for students of Level 2 and level 3 ( 8-11 years) of Islamiyat Weekend classes from 25th to 27th Aug 2017. 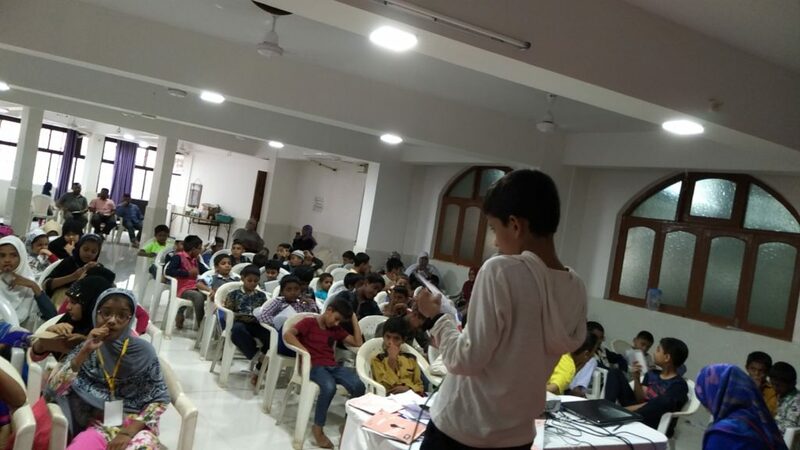 The Camp was held at Al-Aman complex, Margao for both Boys and Girls. 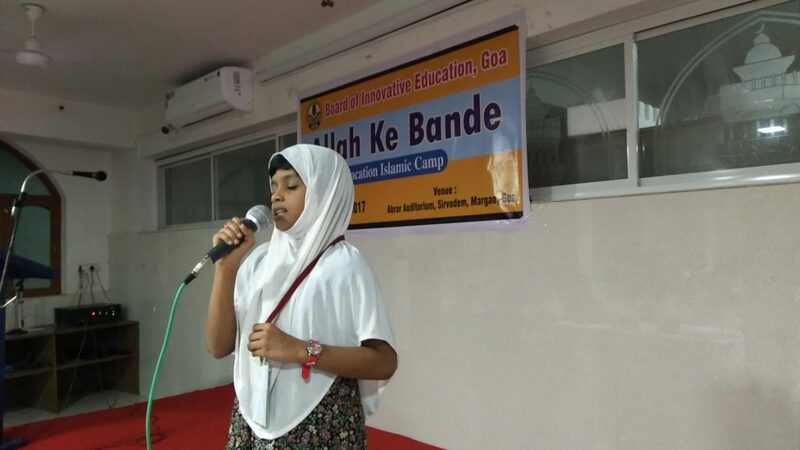 The theme of the camp was “Allah ke Bande”. The program started with Quranic chapter “Surah Ma’un”, in which Mrs.Tabassum explained the lessons we can get from this surah. In the Inaugural address the purpose and the need for such camps were read out by camp Incharge, Salma Makandar. She said the camp will help the students get a feel of Islamic life and ettiquettes and was an opportunity for students to learn about their faith in a friendly environment. Later the students were divided into groups, each with a group leader acting as the team captain for the group. Programme included Wudhu & Namaz practical session in which Mrs. Saleha Asif (Member of JIH) showed how to perform Wudhu and Namaz with the Power Point Presentation. Each day after Asr salah, few Hadiths were memorized to the students. In the Magrib session, Stories from the Quran like Adam(A.S), Ibrahim(A.S) was explained by speakers. This was followed by the motivational videos. Observation session was also included in the camp in which Masjid, House of wisdom and Jamiat us salihat was visited by the student along with their mentors. After observing these, there was an discussion among their groups. Later Group leaders presented their views regarding Masjid, House of wisdom and Jamiat us salihat. The Camp designed with many cultural activities like elocution, Nasheed, Qirat, Quiz etc. Prizes for the winners of competitions and games were given away along with the concluding address by Anees Mohammad, Secretary of BIE. In the feedback session children expressed their gratitude and were happy to be a part of this camp. 98 students across Goa participated in the camp.